Who would believed that such story happened in China? I wonder…. In the end, people are alike. 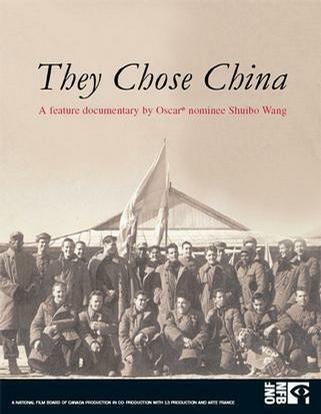 In this feature documentary, Oscar-nominated filmmaker Shuibo Wang (Sunrise Over Tiananmen Square) aims his camera at the astonishing story of 21 American soldiers who opted to stay in China after the Korean War ended in 1954. Back home in the United States, McCarthyism was at its height and many Americans believed these men were brainwashed by Chinese communists. But what really happened? Using never-before-seen footage from the Chinese camps and interviews with former prisoner of war (POWs) and their families, They Chose China tells the fascinating stories of these forgotten American dissidents.